OK, so the Mavic 2 Pro and Zoom have been out for quite a while now and let’s just say I’ve been a little lax in coming out with my must-have DJI Mavic 2 accessories post. Maybe it’s because I don’t yet have a Mavic 2 of my own and I’m a little jealous, but I can’t say for sure. Still, that’s no excuse. 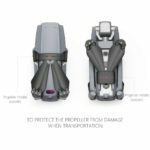 So, as promised to Allen Birnbach in the comments on my Essential DJI Mavic Pro Accessories – The Must-Haves post, here’s it is. 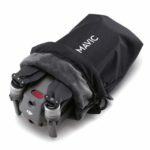 Now some of you may already have or are considering getting the Fly More Combo for your Mavic 2 drone. 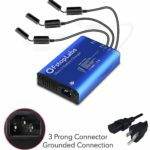 That’s a great deal, and it’s what I did for my Mavic Pro but, I found that I replaced a lot of the parts that came with my combo with other items (like the charging hub with a multi-charger and car charger with an inverter, etc.). 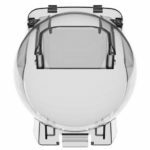 If you have the DJI Mavic Pro or Pro Platinum then please check out the post mentioned above as this post will focus on accessories for the DJI Mavic 2 Pro and Zoom models. I still have mixed feelings about this one. 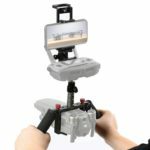 See my DJI Smart Controller – Is it Worth the Investment? post for more information. All-in-all, it’s a nice remote, if not a bit pricey. Do you need it? Probably not, is it a nice thing to have? Absolutely. In the end, this is one you’ll need to decide on for yourself. Even though drones have come a long way, flight time still isn’t what we’d like it to be. You don’t want to find yourself sitting around for an hour, waiting for a battery to charge, just to be able to fly for 20-30 minutes and then repeat it all over again. For anyone serious about flying their drone, pick yourself up some extra batteries. You’ll be glad you did. Today’s batteries are pretty safe. That said, issues do crop up from time to time. Storing your batteries in these bags (especially during transport, say on an airplane) adds another layer of protection, should an incident occur. 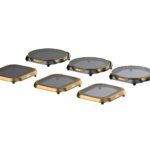 They are designed to contain a leak or fire and prevent it from spreading. This is definitely a must-have item. The stock charging system and battery bank options charge batteries one-at-a-time. A multi-charger not only charges them all simultaneously but it also charges USB devices at the same time (think your phone/tablet and remote controller). Having one of these basically insures that all of your devices are ready to go in about an hour’s time vs waiting to charge everything individually. 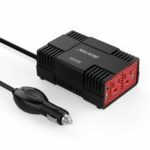 I used to recommend a car charger but, now with the multi-charger, an inverter for your vehicle is a better choice as the car charger, once again, will only charge one item at a time. If you’re serious about photography and/or videography then you need to have the proper filters. 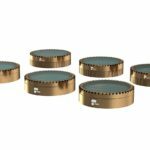 ND filters can greatly enhance your images. Polarized filters have the added advantage of reducing glare and reflections (really handy for those water shots). Even if you don’t really care that much about neutral density or reflections and glare, having a filter on your camera will protect the lens from damage and scratches. You can never have enough storage space. Keep a couple of extra cards on hand. Not only will this save you time, should you find your currently installed card full, but it can be a life saver if you have a card that goes bad or has some other issue that prevents you from being able to get the shots and footage you need. This recommendation is somewhat new for me. Cards fail. 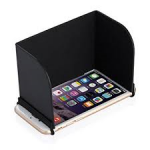 Just like any other storage device they are susceptible to wear and tear, breakage, external influences and so on. Enter the backup device. You can now stick the card it and copy the data to a second location. You can use this strictly for having a secondary backup copy or you can use it to free up space on your card after backing it up. Either way, it’s a great thing to have. 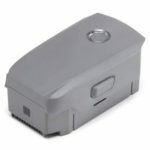 Check out my Portable Photo Backup Devices – My Top Picks post for more information. I can never seem to hide from the reflection/glare monster. No matter how I position my remote, I always seem to have an issue seeing my full display clearly. One of my favorite accessories is the sun shade. It has reduced this problem by at least 80% for me, if not more. I highly recommend getting one for your device. It will save you a lot of frustration. Unless you plan to bring the janitorial cart and clean before launching and landing, you’re going to encounter debris that will get blown around when you fly. 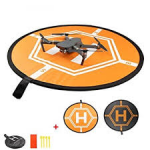 Not only will a launching/landing pad protect your drone, and maybe others nearby from whatever projectile is tossed up, but it will allow you to take off from and land on some surfaces you might not otherwise be able to, such as soft sand on a beach. 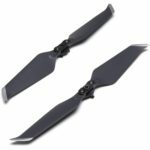 These really serve 3 functions; protecting others from the slicing effects of the props, should they be struck by them while they are spinning, protecting the props themselves from damage, should your drone brush up against something in flight and an almost bumper effect if your drone were to fly into something (albeit at a very slow speed). They’re something to consider, and something I highly recommend if you’re planning to fly indoors. This one is more of a maybe for me. I find that, with the launching/landing pad, I don’t really use these all that much. They have their uses in certain situations but I find that I’m just too lazy to keep putting them on and taking them off and that it’s much easier for me to simply toss the pad out and get flying. This is a must-have, plain and simple. You have a drone. You have a ton of accessories and parts for that drone. You need to be able to carry it all easily. Find a bag or case that fits you and your needs. For me, it’s a soft case. I’m pretty careful with the transport of my drone. Now, if you’re more “energetic”, plan to toss it in the back of the car with other loose items or intend to check your drone when traveling, then consider a hard case. Just be sure that it will hold everything you plan to use. Parts get damaged. Parts wear out and fail. Props are cheap. It only takes a mishap minor mishap to chip a prop (see my Mavic vs Tree – The Importance of Situational Awareness post for more information). Don’t end up missing an opportunity because you didn’t carry a few spare props with you. So you already know how great the stabilized camera is when in flight. Guess what? You can use it on the ground too. If you plan to take stabilized footage on the ground, consider grabbing yourself a cinema tray. These things basically put a handle on your drone, allowing you to use it as a hand-help stabilized camera. No need to get a separate camera setup for your ground-based needs. 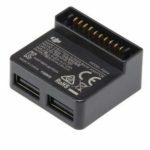 I have this for my Mavic Pro and I have to say, it’s pretty cool to have a spare battery to keep my phone or tablet alive when I’m not near a power outlet. I’ve used this when on vacation and it works well. Granted, I’d rather use my batteries to fly my drone but it’s still a nice feature for when you need it. The lock and cover that came with the Mavic Pro was terrible. The best thing I did was replace it with a single solution. DJI learned from this and did the same. Even so, clips break and covers can get cracked. It’s a good idea to have a spare as this cover protects your camera and gimbal in transit. It’s always a good idea to protect your terminals from dirt, debris and contact. Dirt and debris can damage contacts or even cause intermittent contact that can lead to various issues including power loss. Preventing terminal contact can prevent shorting or even fire. Some airlines have gone as far as to require that contacts be protected in some manner (tape, covers, etc.) to help prevent such issues. If you’re like me, you leave your props attached to your drone when you pack it up. It never fails, when I go to fold it up or slide it into it’s protective sleeve, to have a prop in the way. 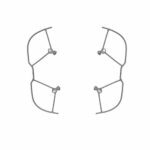 A clip or strap will help to hold the props in place and prevent the frustration of having to align them just so in order to put your drone away properly. If you have a bag or case, these are more of a nicety vs a necessity. I find that they make it easier to slide my drone into the bag slot and prevent loose stuff from getting tangled in the props and what not when the bag or case is jostled in transit. The bags I have are also waterproof so I don’t have to worry if I have it on a table and I knock over my drink, etc. I absolutely love this. For battery health and longevity I don’t keep my batteries fully charged all the time. I actually have my multi-charger, tablet, remote and batteries connected on my desk and then plugged into a remotely controlled outlet. 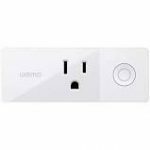 Now, when I’m out or at work or wherever, if I decide I want to fly later that day, I can simply bring up my app and turn the outlet on. When I get home everything is fully charged and ready to go. It’s quite the time saver. 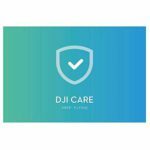 DJI GO 4 is a must but there are many others that serve a purpose, depending on your needs. Check out my DJI Mavic Pro Apps – My Top Picks post for a list of some great ones to choose from. Even though the title says DJI Mavic Pro, many of the apps listed there will work with the DJI Mavic 2 series too. Peace of mind. I actually got this with my Mavic Pro. I never used it but it was nice to have. Sh*t happens. Do yourself a favor and find insurance for your drone. Make sure it has the coverage options you want (water damage, user error, theft – not covered by refresh, etc.). Having a good coverage plan for your drone will let you worry less about the what ifs and allow you to enjoy your flying more. I hear State Farm has a good plan, if you’re not in California. There you go, another drone, another list of stuff to buy! 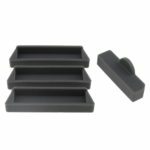 I hope you find something useful in this DJI Mavic 2 accessories post. If you think I missed something, would change or remove an item I have listed here, have a question or just want to say hello; please comment below. I read and respond to each one. 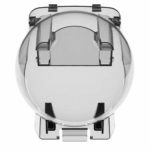 Hello, I quite enjoyed your post about the DJI Mavic 2. I do not own a Mavic but I do own an MJX which I use for my photography. In my community many people have not opted into this market so I really one to be one step ahead. 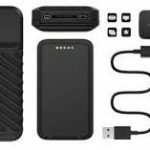 I know the multi charger and power bank is a must have but what other accessories do you recommend as must haves? I’m working on a tight budget, thanks. Yes, the multi-charger is a must. I’d say my top picks also include filters, batteries, a sun shade and the launching/landing pad. 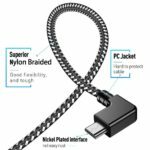 This is the second time I will be stumbling on your blog and to be honest,i always find your contents well detailed and highly informative ,Am on the look out also for spare cables, the manner at which USB cords and ports fails this days is alarming. I think extra batteries is also available, this will help regulate the time to time charging of drone battery. I’m glad you keep stumbling across my site. It’s always a good idea to keep a spare cable or two handy. Yes, one of the best extras to grab would be batteries and the multi-charger. It will keep you flying longer and more often. You did a great job reviewing this device to every details. Thus is great and I am beginning to fall I love with this drone in particular. I will love to have one, but it look very pricey but thank goodness for the insurance cover. I will consider getting one for my self from Amazon in the near future. I really want to save up some cash to purchase it because I am in love with it considering it great feature. Thanks. 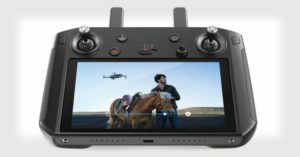 If you like the accessories check out the drones themselves here: The DJI Mavic 2 – The New Models Are Finally Here! 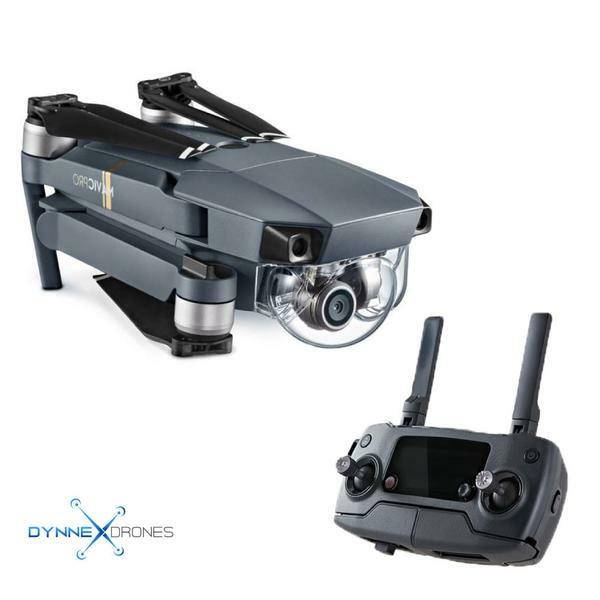 They are a little pricey but, if you want a great drone that’s a little more affordable, check out the original Mavic Pro model: What is the DJI Mavic Pro – Only One of the Best Drones Ever! I never thought that there would be a few more affordable parts I could buy for my friends with drones as a gift! I’ve gotten a few sun shades that were within my budget back at that time. 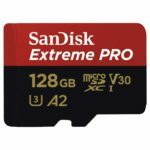 The SD cards would make really good birthday presents for my friend Richard who never deletes any of his flight recordings! Also, back where I grew up and, he still lives, terminal covers are a must have. Plus, he is getting up there in age so there has been an increasing number of crashes when he goes rogue away from the flight fields ha! I have had to go on mud bog search and rescue missions over fences down by the river more times then I care to count lolz! I have never seen nor heard of a remote outlet before. That looks like a handy item indeed. I will have to see if he has one when I ring him this weekend. Thank you for all the ideas! The number of accessories keeps growing daily. I didn’t mention lighting, message props (ones with LEDs you can actually program to display messages and designs in flight), bait release systems and so on. 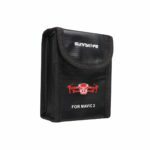 You can never have too many storage cards and the terminal covers just offer an extra layer of protection for both batteries and the power connectors on the drones themselves. I can’t help much with the whole crashing thing but insurance, or maybe training and practice can help mitigate that issue. I really do love the remote outlet. A quick push of a button in my app or simply telling Alexa to turn on the charger and I’ll be ready to fly in about an hours time. I will all of these accessories are very important I can’t say that I will need one more that than the other so in each of these items they have unique purpose and so they should available to me all off them and that will make it easier to enjoy drones escapeds. Frying will be more fun it you know you battery backup even itif the one have dies and you be charging the spare one while drone is sky high. There are so many accessories to choose from. What might be a priority for one person may be a nice to have it not really needed item for someone else. You’ll have to decide for yourself based on the type of flying you do and the environment you fly in. I totally agree that a must have for everyone is additional batteries. 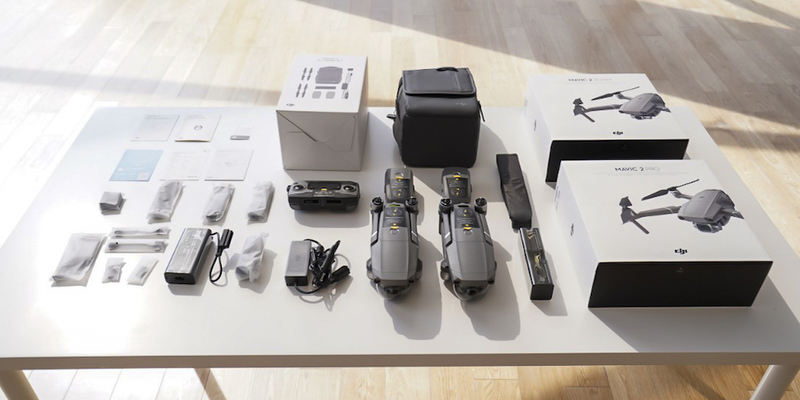 There are a ton of accessories for the DJI Mavic 2 that you include in this post. I think I am going to have to get another job to pay for them all. In perusing through them all, I believe I will have to prioritize the ones I want first. This was a fun task in itself before I head off to buy the ones I can afford. Here are the first 5 accessories I have listed and will buy: (1) Insurance (I know me, I need this), (2) DJI Smart Controller, (3) Additional batteries, (4) Battery Safety bags, and finally (5) the multi-charger. With these in my kit, I think I will be ready to have some new adventures and fun! Most definitely I would like to get the rest as well, but I think these will come over the coming months. Perhaps a few at a time. I do not mind making this investment, as the end game is to have the ability to operate when and where I want and get the results I want while enjoying the experience. 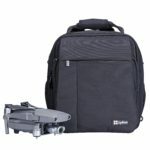 Good post on what is available for the DJI Mavic 2, I am so glad I found this site. Thanks! Yes there are, and I didn’t even list them all. Sadly, I need a second job so I can grab the drone, much less the accessories for it. I’m still flying my original Mavic Pro. Im close to your list but I don’t need the Smart Controller. Instead I would add the launching/landing pad and filters. I agree, the more you have the more prepared you’ll be for virtually any mission. You might look into a bait release system and maybe the goggles, etc. I like this multi charger. Please how many USB pots does it have. The multi charger is actually what product. What’s the name of the company and the name of the country that produces them? Is there any warranty or gaurrantee? Then, the Power bank is it only for car use? Or are there other uses for it? So there are many makers of multi-chargers. I am partial to FStop Labs, which is the one I linked to in the article. As for where they’re made, I can’t be sure, but I suspect China. It has 2 USB ports and 3 battery cables so you can charge 3 batteries and 2 USB devices simultaneously. I usually have my remote and phone or tablet connected. I think mine had a one year warranty. The power bank is actually to connect to one of the batteries and use it to charge USB devices when you’re not near a power outlet or don’t have your charger/cable. Because it uses your drone battery as a power source you can use it anywhere. Now, if you’re asking about the inverter, it’s for anywhere you have a cigarette lighter port (car, boat, etc.). 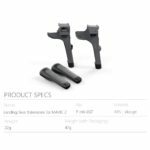 Thank you for sharing this great information about this DJI mavic 2 accessories. 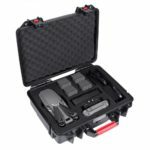 My wife bought me the dji mavic 2 for my birthday last year and I been buying some extra accessories for it, like batteries, extra props and many other but I never thought to buy me a carry case or bag until I read your article with this many accessories I have this item will be excellent for me. Thanks for commenting. I’m a little jealous. I’m still flying the original Mavic Pro but my birthday;s coming up 9n April so maybe I’ll get a great gift too. A bag is a must. It keeps everything together in one place and organized so things are easy to find. Share some of your images and videos when you get a chance. Hi Scott! Thank you for all these cool accessories for DJI Mavic 2! I definitely need additional batteries. Yes, this is no-brainer. And I also need a multi-charger. And I don’t know why I don’t have spare cables up to this point, but I’ll follow your advice. Having 4 is a good suggestion. 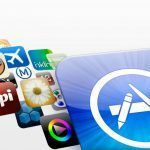 I have an iOS device so I’ll check your post for a discount code. Thank you very much! The batteries are really number one on my must-have list. The multi-charger just keeps me flying longer as the recharging time is greatly reduced when compared to charging batteries one-at-a-time. Some say 4 is excessive but with 2 ports, I think 2 cables per is just right. That way, if a cable fails I have a backup and if the port fails I have an alternative option.